At Domestic Uniform Rental, we provide uniform solutions that allow you to “Dress for Success”. Beyond the garments themselves, we work together with Ensign Emblem to bring your work shirts, coveralls, coats, and jackets to the next level through embellishment. Embellishment costs far less than the uniforms themselves. However, these additions add significant value to your brand image and identity. By placing your logo on a uniform, whether it be through direct embroidery or with artwork created on an emblem, your company can gain both brand awareness and garner a sense of cohesion and company-pride within your workforce. Emblems make your uniform a “walking billboard”; providing not only extensive marketing opportunities, by spreading the brand image, but also by portraying the professionalism of your team that unbranded uniforms lack. Logos that include artwork are more recognizable than simple lettering. When considering embellishment option, companies should bear in mind that it is important to associate your goods or services with a branded image. In today’s competitive employment market, it is also important that companies create a sense of pride and teamwork within their organization. What better way to accomplish that goal than through a company uniform that proudly displays your logo! Not only will this inspire a sense of community within your team, it will also help identify who your team members are for your customers and the public in general. Contrary to popular belief, emblems and embroidery come in all shapes, sizes, and materials. At Domestic Uniform Rental, we provide both embroidered and screen-printed emblems while also offering direct embroidery for a more permanent embellishment. Regardless of the option selected, we use 100% polyester threads and fabrics to provide our customers with lasting, vibrant uniform embellishments. Our collection of embellishments ranges from simple script patches to complex, laser-cut appliqués. 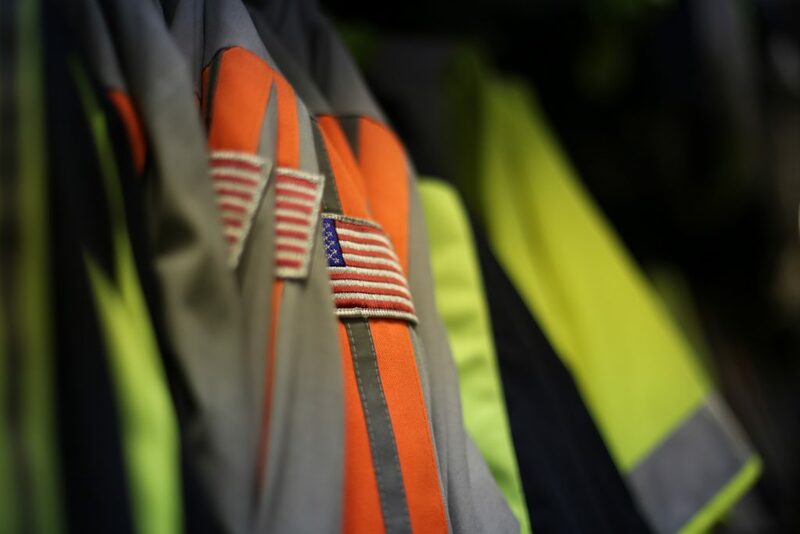 The embellishment that is best suited for your company depends upon the number of wearers in your program as well as your workforce turnover. 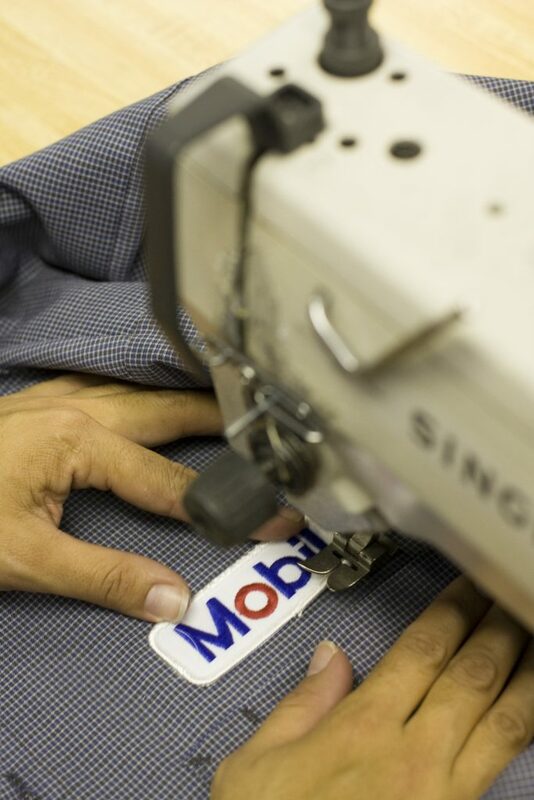 In businesses where there is a high turnover of employees, we discourage direct embroidery. Those companies should elect embellishment using removable emblems that can be taken off of one wearer’s uniforms and added to the next. Embroidered emblems are the most durable and vibrant removable emblem option. However, these emblems are only cost effective when ordered in quantities of one hundred or more. For uniform programs with fewer than 10 wearers, our screen-printed emblems offer a practical and cost-effective solution. Screen printed emblems can be ordered in much smaller quantities at a lower price. If you are not sure the direction that is best suited for your company, we would love to help you. Please follow the link, https://www.domesticuniform.com/new-customers/, and provide us with your artwork, the types of clothing that you are looking to embellish, and the approximate number of wearers on your team.